No matter how many times I have listened (about 6 or 7 times) to this story, it gets better and better and better......you don't want to miss it! Oh ! You have to listen to " CRAVE two" to know the conclusion to the story. 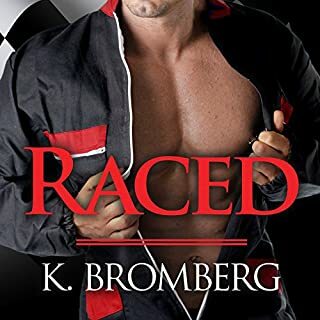 Colton Donavan lived life in the fast lane, but it took Rylee Thomas to teach him what racing was all about - arrogant, rogue, broken, conceited, dirty-talking, rebel, egomaniacal, voodooed, bent, and reckless. You think you know him? WooooHooo!! !😉 Sharing is caring ....I loved it!!!! Knowing what he's thinking about....you will never know what that means to us.....the uninformed readership 😉. One moment, six years ago. The night she made the world around me so much more than just a blur. Now it's the catalyst that threatens to tear us apart. Our happily was supposed to be ever after. So why do I feel like it's slipping through my fingers? How can one moment, when our world seemed so right, resurface and cause our perfect life to spiral out of control? I can't lose her; she's my checkered flag. I love 💘it! You must listen or read all 4 issues to get the scope of the relationship involved . WOOHOO!!! What a BEAUTIFUL series😂. 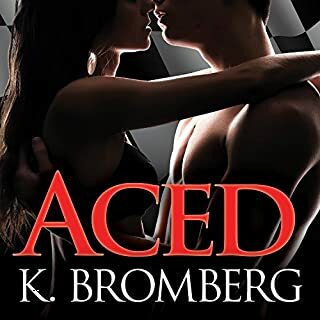 I loved💘 it and highly recommend you to listen or read this series😉 of romance.....This means you! 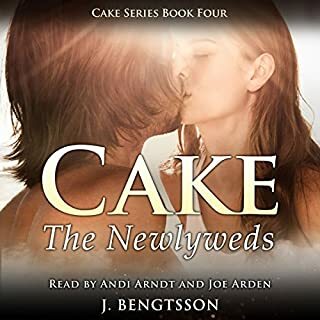 Cake: The Newlyweds is OH! SO! Wonderful!! I love, love, love 💘this book! It's full of violence, romance, and scenic beauty....but most importantly it is a love story. I highly recommend this book for anybody who wants a book they can't put ...the edge of your seat type of book. Incredible two part love story! "CRAVE"
I am going to CRAVE more....and more....and more! by E.K. Blair. BOY! do I love Sebastian York's voice . He makes the story come to life .